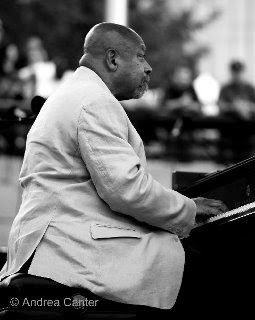 In the midst of a tour of America's Heartland, NEA Jazz Master pianist Kenny Barron took time to address a Saturday morning gathering of students and miscellaneous enthusiasts in Iowa City, a prelude to the evening's concert with his trio and special touring partner David Sanchez. The billing information suggested a more formal presentation, but Barron was anything but didactic. Rather, he was both personable and humble, entertaining and thoughtful. A lot like his playing. For the first half hour or so, he shared anecdotes about his development as a pianist, composer and bandleader, sprinkling conversation with performance as he sat at the grand piano. He recounted beginning piano lessons at age 6 at his mother's insistence, noting that his first exposure to live piano music was courtesy of the ice man who came nearly daily until the family got its first real refrigerator. 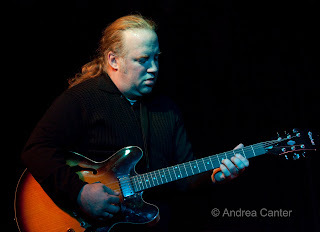 And the ice man only knew one blues tune that he faithfully played at each delivery. Thus Barron's first and lasting influence was the blues. Kenny's oldest brother was into jazz, and among the 78s young Kenny listened to was a Miles Davis recording with Tommy Flanagan playing "In Your Own Sweet Way." Flanagan's touch and lyricism were to strongly influence Barron for years. Much later he had the opportunity to record a duo with Flanagan. "It was one of the times in my life when I was scared to death," noted Barron. Thelonious Monk was another strong source of inspiration, and quite the opposite of Flanagan, said Barron, noting how Flanagan's phrasing gently ebbed and flowed, while Monk's jagged edges, percussive attack and "rhythmic displacements" often yielded a "deceptively simple" result –at least "it seemed simple til I tried to do it!" Illustrating how Monk took apart standards, he played Thelonious's original "Light Blue" and then put a Monkish spin on "I'm Getting Sentimental Over You." 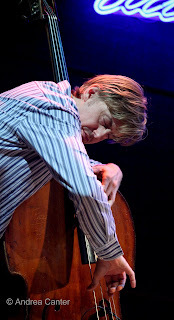 Barron followed Monk with comments about Bud Powell's contributions to bebop, particularly his extended chords and use of triplets and "ghost notes," illustrating this time with the chord progression for Parker's "Confirmation." Other influences included Art Tatum, Barron playing what he described as "my approximation of Art Tatum's 'Body and Soul,' and Bill Evans, who could totally change the feel of a chord by changing a single note, which Barron illustrated via "Young and Foolish." 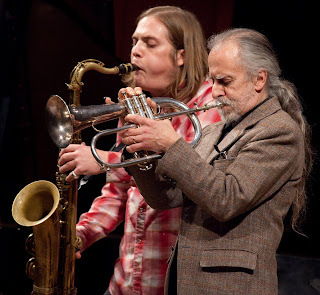 Was he influenced by horn players as well? Many, said Barron, but particularly Wayne Shorter. 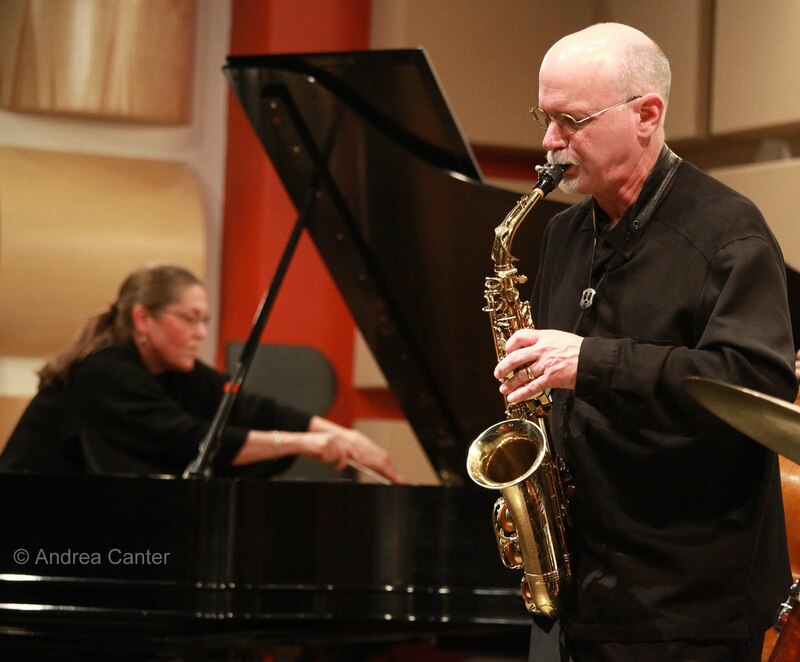 "I wanted to play piano the way Wayne Shorter plays tenor saxophone." For nearly another hour, Barron fielded questions that ran the gamut from his likes (and dislikes) among modern artists to his approach to bandleading and composition, and a few suggestions for young improvisers. 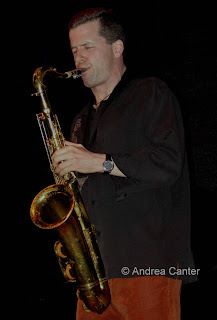 He noted his admiration for Mulgrew Miller and Brad Mehldau, and "anyone who plays really well… I steal from the young guys." And of his partnership with Stan Getz, he recalled that they complemented each other, both emphasizing lyricism. New artists on the scene are going in many directions – he cited Gretchen Parlato and former student Aaron Parks for their interesting rhythms. How much does he think about what he's doing when he improvises? "I try to keep a clean slate and let it be organic." He suggested taking a simple chord and working it from all angles, then extending the chord and finding more possibilities. As for composing, he feels it won’t work if you force it or schedule a time. "Sometimes it just comes like divine inspiration," he said, "or you might have a grain of an idea to work from… Sometimes I just noodle at the piano and find something." As a bandleader, he prefers to let each musician do what he or she does best; "I don't want to tell people what to do." But it is different, for example, playing in his usual trio versus with the addition of a horn, as in his ensemble with David Sanchez. "I'll be more aggressive with a horn, but still I want to be melodic." One question stumped Barron. "How do you want people to describe your contribution to music?" "I don't know how to answer that. It's not something I think about. I just want to play the best I can." And that is a significant contribution. Photo: Kenny Barron at the 2010 Detroit Jazz Festival (Photo by Andrea Canter). Quotes are my best approximations of my notes! 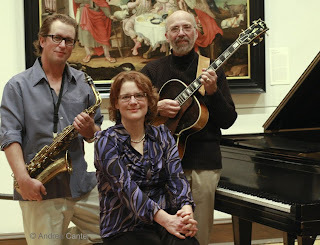 Highlights of last week: The world premier of Highway Rider (see blog, 11/7); the Fall New Music Cabaret at Studio Z (see blog, 11/9); Maud Hixson with French 75 at the Dakota. Highlights this week: Some of my favorite performers headline the coming week, starting with the weekend. Not that I am in town for all of it…. 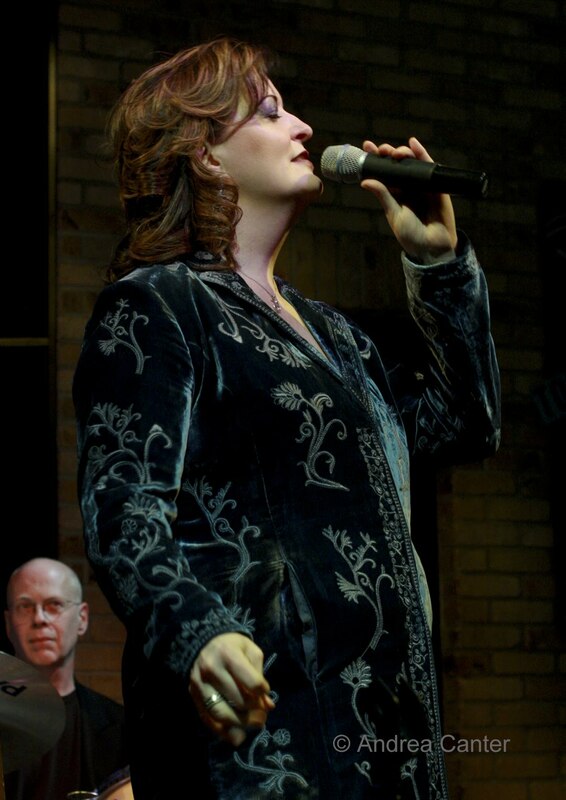 Tonight (11/12), two of the area’s most popular singers present a unique show modeled after the format of the faculty performances at the Yale Cabaret Conference. Lee Engele and Maud Hixson go back to back in the Chanteuse Diaries, using songs to tell their personal “back stories”—the not-so-straighline journeys of their paths to careers in music. 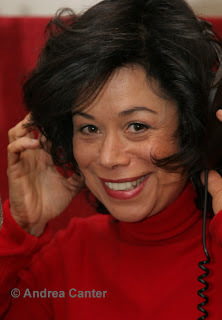 Lee includes such tunes as Rodgers and Hammerstein’s “Cockeyed Optimist,” Frank Loesser’s “Rumble Rumble Rumble,” Francesca Blumenthal’s “The Lies of Handsome Men,” and Charles DeForest’s “When Do the Bells Ring for Me?” while Maud’s set list includes Noel Coward's "Chase Me Charlie", DeSylva, Brown and Henderson's "It All Depends On You", and Irving Berlin's "No Strings." And, as Maud adds, “selections you'll never hear us sing in a usual set of jazz for a club date.” The fun takes place in the Black Box Theater of the Burnsville Performing Arts Center. 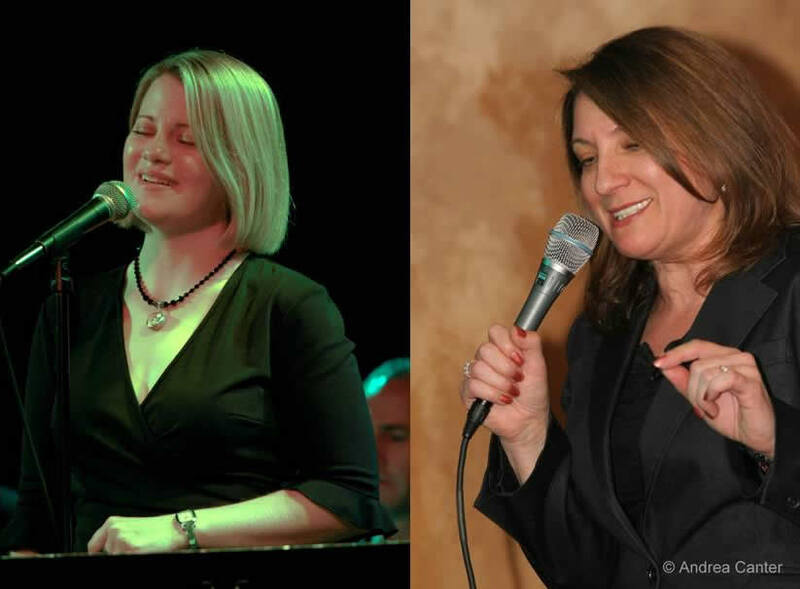 This weekend (11/12-13) also features a reprise of Laura Caviani’s highly praised salute to Mary Lou Williams at the Artists Quarter, backed again by Jay Young and Phil Hey. I saw the premiere of this one earlier in the year, and can think of no one better to present and interpret Williams’ work than Laura. And 2010 marks the 100th anniversary of Williams’ birth. You won’t just hear great works from one of the key jazz composers and arrangers of the 20th century, but Laura makes sure we learn a lot about Williams along the way. 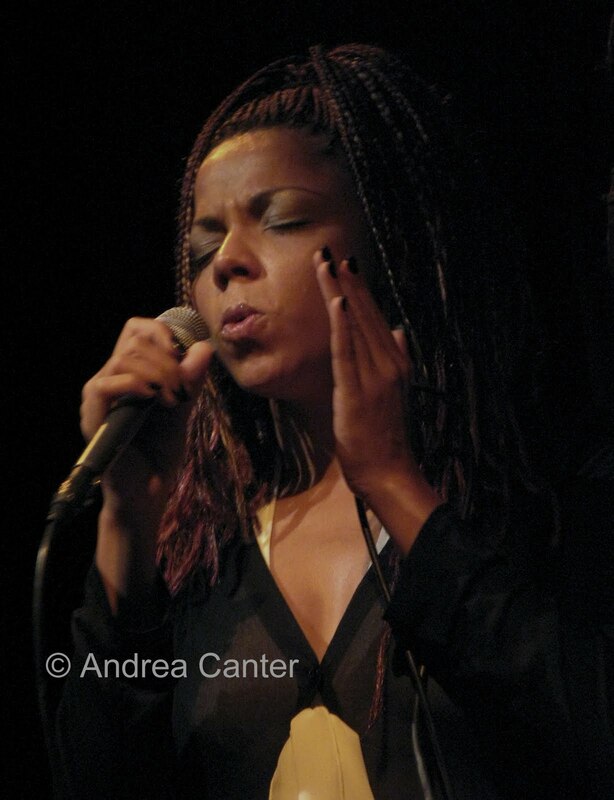 Two events on Sunday (11/14) that I hate to miss: Soul Café returns for one of its too-rare evenings of jazz and poetry at the Hennepin Avenue United Methodist Church gallery space off Loring Park. To the long-standing core trio of Laura Caviani, Steve Blons and Brad Holden, they add Lucia Newell, Jay Young and Darryl Boudreaux for a dynamic sextet paired with readers of modern poets. This edition brings together the music of Miles Davis, the Great American Songbook and folk fare, in tandem with poetry from David Whyte, Pablo Neruda and Billy Collins. On the other side of downtown, MacPhail Center for Music presents a double quintet evening as part of its Spotlight Series, taking off from classical and jazz charts into the unpredictable world of improvisation: The Copper Street Brass Quintet (Allison Hall, trumpet; Corbin Dillon, trumpet; Timothy Bradley, French horn; Alex Wolff, trombone; Stefan Kac, tuba) interpret Brubeck, Thad Jones, Pat Metheny and Bela Fleck as well as some original Kac; the Bryan Nichols Quintet (Bryan Nichols, piano; Sean Carey, drums; Brandon Wozniak, saxophones; Mike Lewis, saxophones; James Buckley, bass) will focus on Nichols’ compositions. The early week gem is the Kenny Barron Quartet at the Dakota (11/15-16), featuring volcanic saxman David Sanchez. I have seen Barron a number of times, never here at home. There is no more elegant pianist working in jazz today; he can swing hard and he can spin silver lace; his wordless stories are spellbinding. Sanchez has established himself as one of the kingpins of his generation of horn players. Also on the bandstand – Kiyoshi Kitagawa on bass, long a partner with Barron, and Kim Thompson on drums. Remember Kim? She’s often heard with Tia Fuller as well as Beyonce’s all-gal band. Kim was her with Tia in summer 2009, and in my opinion one of the most explosive drummers on the scene. I’ll see this band in Iowa City a couple nights before they hit the Dakota. No chance of an overdose. One of our veteran jazz singers finally releases her own recording on Wednesday (11/17) – Rhonda Laurie joins up with Sidewalk Café (Reynold Philipsek, Jeff Brueske, Gary Schulte) at the Aster Café. So even if there’s “No Moon at All,” it will be bright (and very swinging) night! Closing out the week on Thursday (11/18), MacPhail presents its second Jazz Thursdays event, and the second installment of its Mingus project, Meditations and Reflections. The first round last month was a trio; this time it’s a quintet –Greg and Mike Lewis, Bryan Nichols, Adam Linz and JT Bates. The title tune of this concert is “So Long Eric,” and the rest of the evening will bring us more of the exciting works of Mingus. 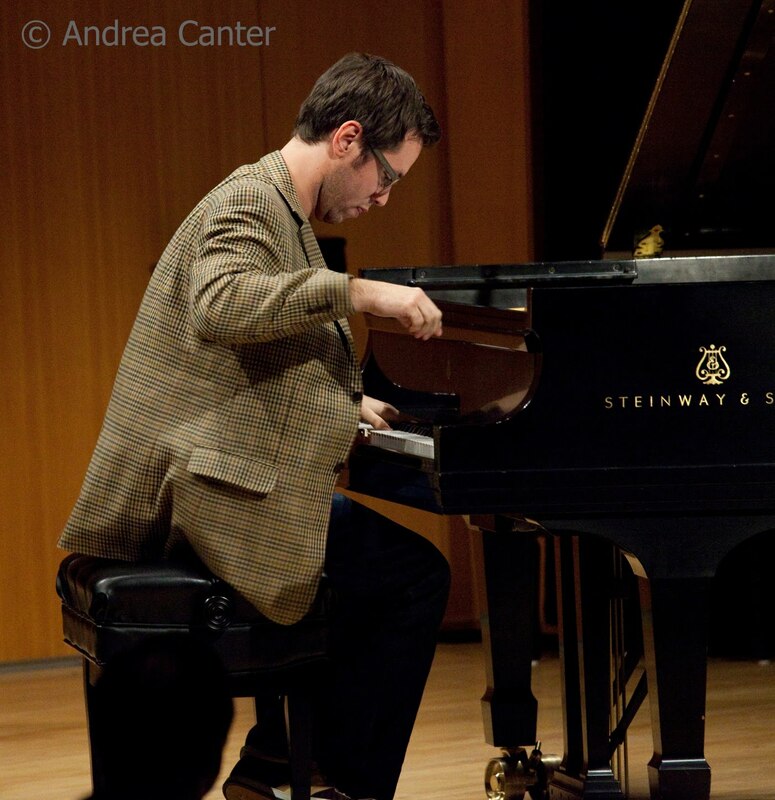 Don’t miss the Q & A an hour before the concert, both in Antonello Hall. 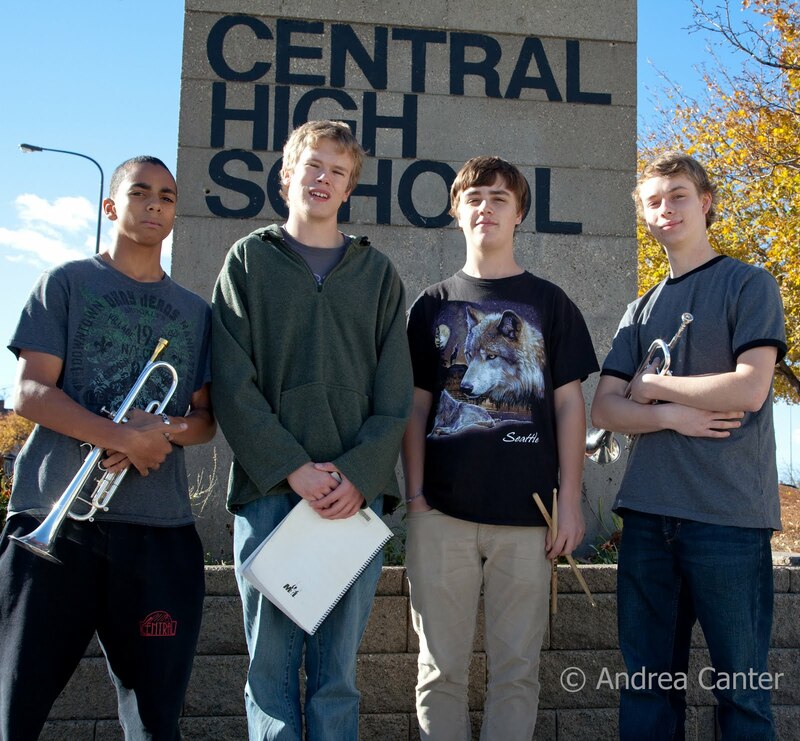 Wednesday, 11/17: Wolverines at Hell’s Kitchen; Charmin Michelle and Denny Malmberg at Fireside Pizza (Richfield); TEFSA Jam followed by the Zacc Harris Quartet at the Artists Quarter; KBEM’s Community Education class at Minneapolis Northeast Middle School, “Jazz and the Spirit” with Michelle Janson and Steve Blons. 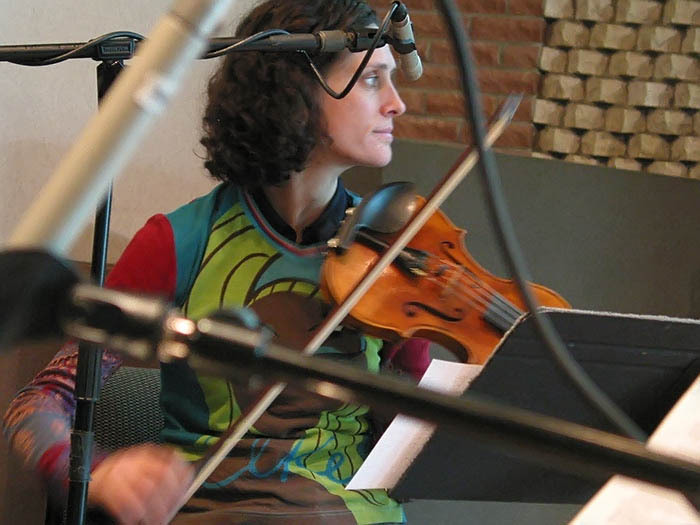 Epic works are not for the faint-of-heart, and present challenges to composers, performers and audiences alike. Ideas need to flow convincingly, hold audience interest over a significant period of time, and showcase performers as well as composition. In creating his first orchestral work, pianist Brad Mehldau comes close to meeting these challenges in full. And even “close” merits the celebratory cigar. 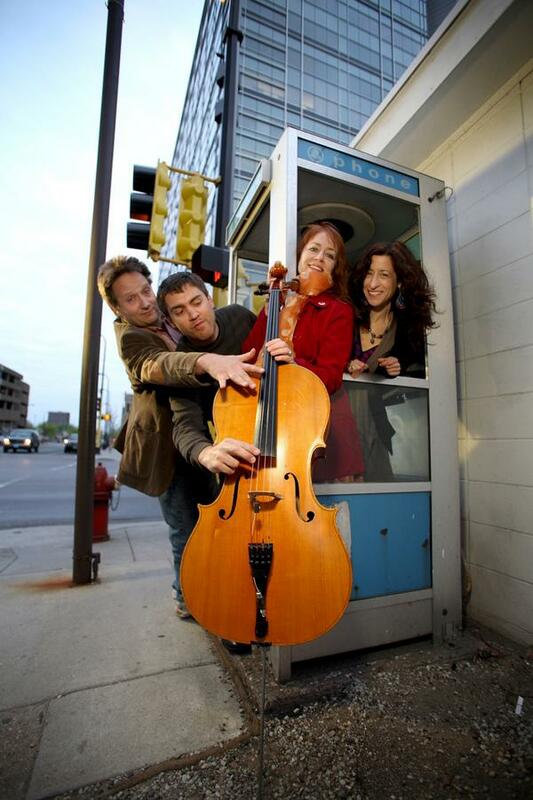 The world premiere of the fully staged Highway Rider was performed November 5-6 at the Walker Art Center, with Meldau’s trio, guests Joshua Redman and Matt Chamberlain, and the St Paul Chamber Orchestra. If not a perfect 10, Highway Rider nevertheless signals Mehldau’s maturation as a composer of modern eclectic music with broad appeal. Over the past decade plus, Mehldau has garnered consistent praise for both technical agility and a personal, typically introspective artistry. I’ve long admired both components of his music, but at the same time have been underwhelmed when his often-long solo improvisations turn so far inward that there is no room for conversation. Writing for many voices thus seems to serve Mehldau (and his audience) well, providing a context that demands interaction and thus greater movement of ideas to sustain the whole. Highway Rider takes the small chamber core that has defined Mehldau’s music—with Larry Grenadier on bass and Jeff Ballard on drums—and adds additional jazz voices (saxophonist Redman and second trapset drummer Chamberlain) as well as a small classical orchestra (SPCO directed by Scott Yoo), thus opening endless options for composition and improvisation. Even within the small ensemble format, which accounts for several segments of Highway Rider, Mehldau takes more chances and generates more excitement than I’ve witnessed in his usual trio club dates. And with fifteen “movements,” there was plenty of diversity in form and mood, from lyrical to stormy, from neoclassical to boppish to folkloric. Although there had been very little time for full rehearsal with the SPCO, the interactions among musicians drew upon long-standing relationships –Redman was one of Mehldau’s early employers; Scott Yoo was an old friend from childhood music programs; Ballard and particularly Grenadier have been Mehldau’s long-time trio-mates. Right out of the gate, the opening “John Boy” brought the two drummers next to the piano, Chamberlain beating on a tom and Ballard thumping what can be described as a miniature conga. The effect simulated galloping horses. This was not to be a recapitulation of the Art of the Trio! 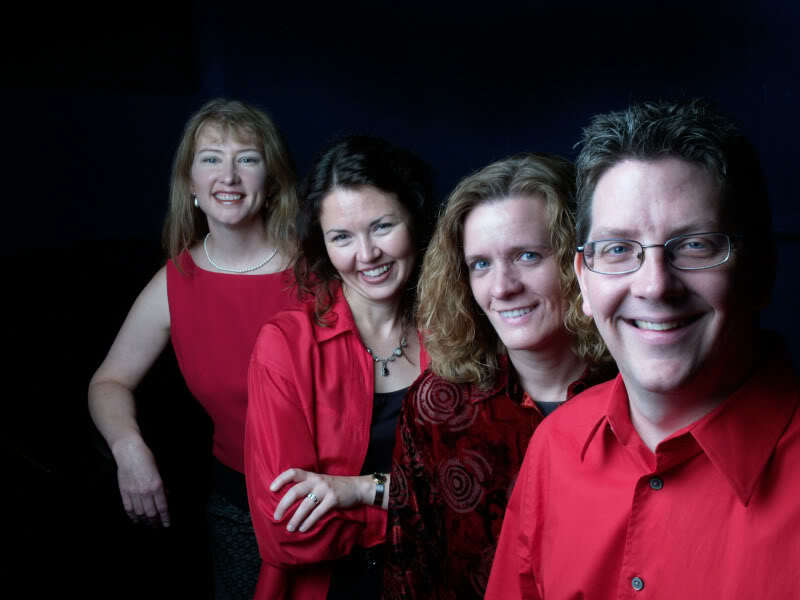 The SPCO, as well, brought in some unexpected components throughout the work, from the four-piece French horn section to the contrabassoon and standing chimes. In his extensive written introduction, Mehldau cites Beethoven for his architectural inspiration—“his way of generating not just the melodic material from a motif, but also larger tonal relationships that unfold and span the entire work, thereby connecting small scale and large scale…” A thematic thread indeed runs through the full work, but even Beethoven rarely extended his structures beyond an hour. The second half of Highway Rider occasionally stagnated, as if reaching a conceptual cul de sac. Two hours is a long time to keep any thematic thread intact, engaging, in motion. But when Mehldau moves, so does the Earth. 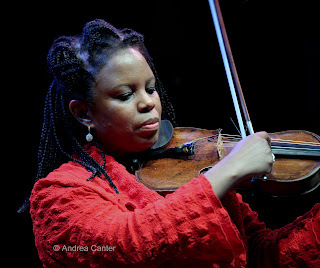 Highlights last week – Hearing Kelly Rossum’s edgy score for the 1920 classic, Dr. Jekyll and Mr. Hyde, with his 8-piece Nicollet Circus Band at MacPhail; hearing guitar wizard Paul Bollenback with Billy Peterson and Kenny Horst at the Artists Quarter; and hearing (very up close) Regina Carter’s ethereal Reverse Thread Project with Yacouba Sissoko on the intriguing kora, at the Dakota. And there more coming our way (see blog, 11/3). Good thing we can get an extra hour of sleep on Sunday! The weekend kicks off grandly with the world premiere of the full performance of Brad Mehldau’s Highway Rider, which he previewed last spring at the Dakota with his trio. 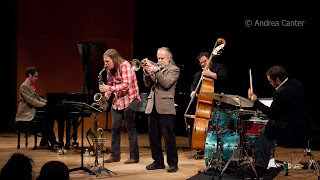 But this weekend at the Walker, it will be fully staged with trio mates Larry Grenadier and Jeff Ballard, additional drummer Matt Chamberlain, saxophone colossus Joshua Redman, and the St. Paul Chamber Orchestra, which commissioned the work. That should fill the McGuire Theater stage for two nights (11/5-6)! 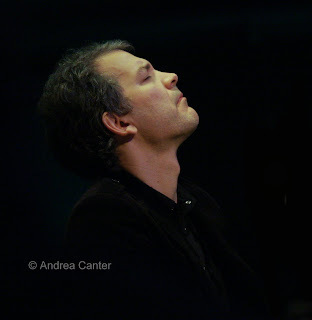 Mehldau has performed much of his career in trio and solo formats, making this large-scale production an exciting shift. Also high on the excitement scale is the Dave King Trucking Company, at the Artists Quarter Friday and Saturday nights. King debuted this ensemble at the Walker last spring, and drew raves when he brought the band to the AQ this summer. Certainties are drum monster King, inventive saxman Brandon Wozniak, and versatile guitarist Erik Fratzke, King’s playmate in Happy Apple. 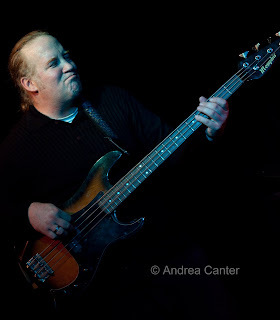 Of course Fratzke also plays bass, which might come in handy this weekend as usual DKTC bassist Adam Linz is in Europe, touring with Fat Kid Wednesdays. So who is on bass this weekend? Guitarist Zacc Harris has a busy weekend, with his quartet (Bryan Nichols, Chris Bates, Jay Epstein) at Café Maude on Friday (11/5) and his trio (Matt Peterson and Pete Hennig) at Hell’s Kitchen for Saturday brunch (11/6) and at their usual Sunday night spot, the Riverview Wine Bar (11/7). Usually Fat Kid Wednesdays holds the fort at the Clown Lounge on Mondays, but the guys are on tour in Europe this week. 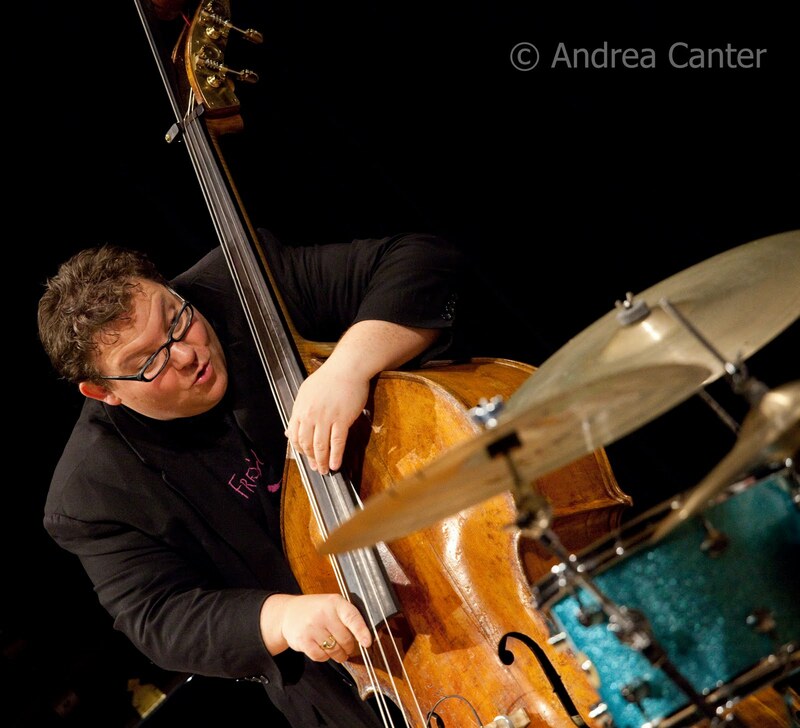 Jazz Implosion instead features a dueling bass duet with Chris Bates and Josh Granowski and Bates’ Double Bass Trio (11/8). Sounds doubly cool. Sticking to strings for a moment, guitarist Dean Magraw and tabla player Marcus Wise celebrate a CD release at the Artists Quarter on Tuesday (11/9), but this is truly a party, not a gig, or so the story goes. 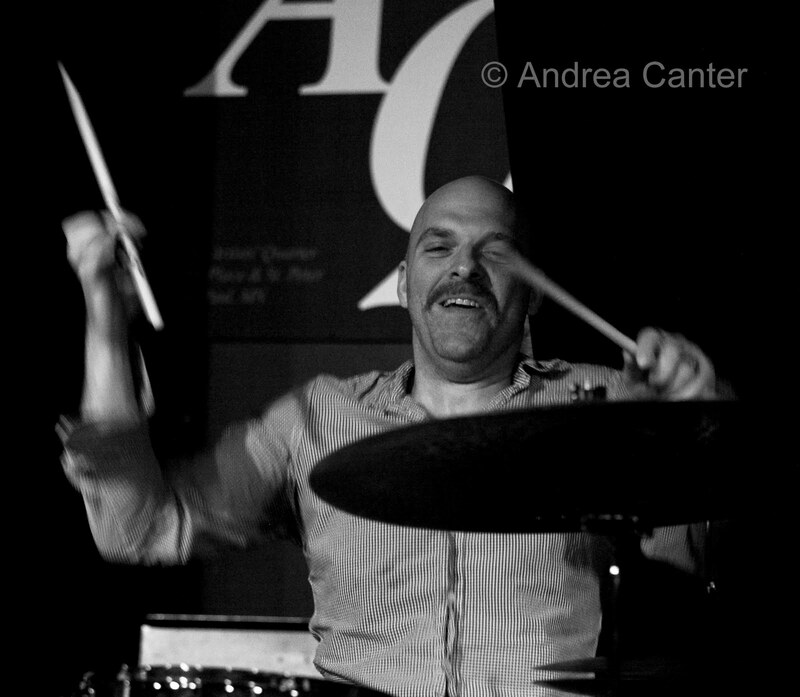 Getting back into playing form following his bone marrow transplant and cancer treatments, Dean will be officially celebrating the CD release with a live gig at the Cedar in February, and is set to play with his Red Planet trio at the AQ in December. Tuesday is party time, celebrating music and life with goodies and a first chance to hear (and buy) the CD. And Wednesday (11/11) brings a too-infrequent chance to hear elegant songbird Maud Hixson at the Dakota, this time with the sophisticated swing of French 75. For this gig, Maud has rounded up quite a crew--Dale Mendenhall, Reynold Philipsek, Keith Boyles and Michael Bissonette. 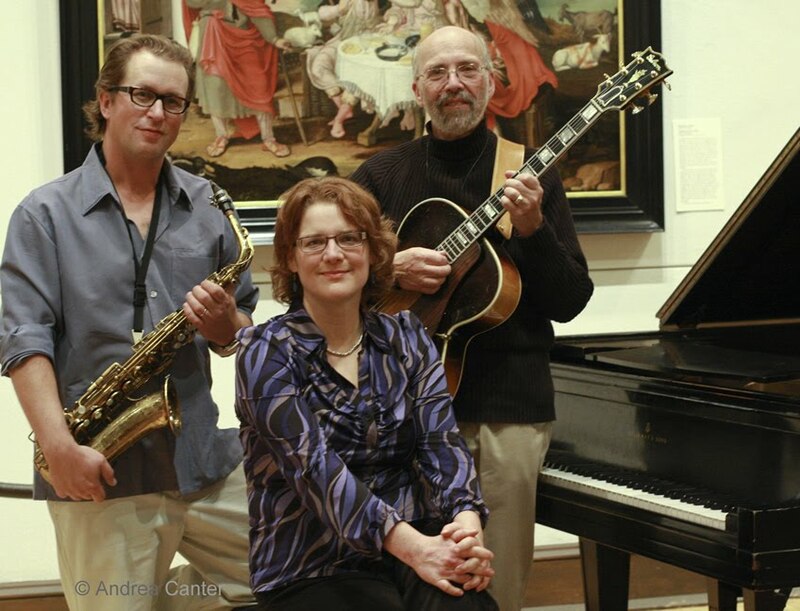 Friday (11/5): Benny Weinbeck Trio at D’Amico in the Chambers Hotel (also Saturday); Joann Funk and Jeff Brueske at Enjoy! ; Patty Peterson’s Birthday Bash at the Music Box Theater; the Fantastic Merlins’ bon voyage gig (before leaving for their tour of France) at the Black Dog. 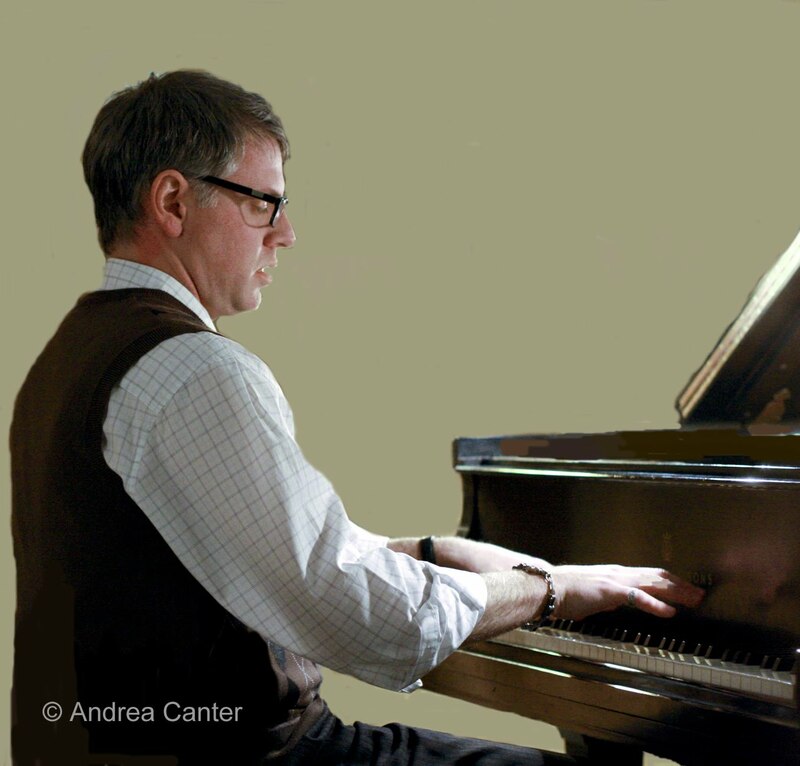 Sunday (11/7): Tanner Taylor reprises his tribute to Oscar Peterson in a fund raiser for the Cystic Fibrosis Foundation this evening at the Artists Quarter. 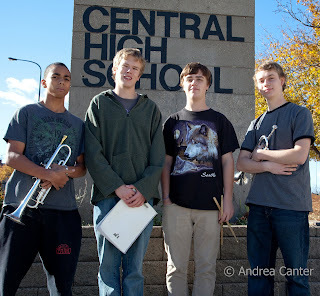 Monday (11/8): Trumpeter Adam Meckler’s Masters’ recital at the U of M, open to the public, and including members of his quintet (Zacc Harris, Brandon Wozniak, Greg Schutte, and Graydon Peterson); Charmin Michelle and Denny Malmberg at Fireside Pizza (and back again Wednesday night); Milo Fine and fellow improvisers at Homewood Studios; Jello Slave at Barbette; Headspace at the AQ. 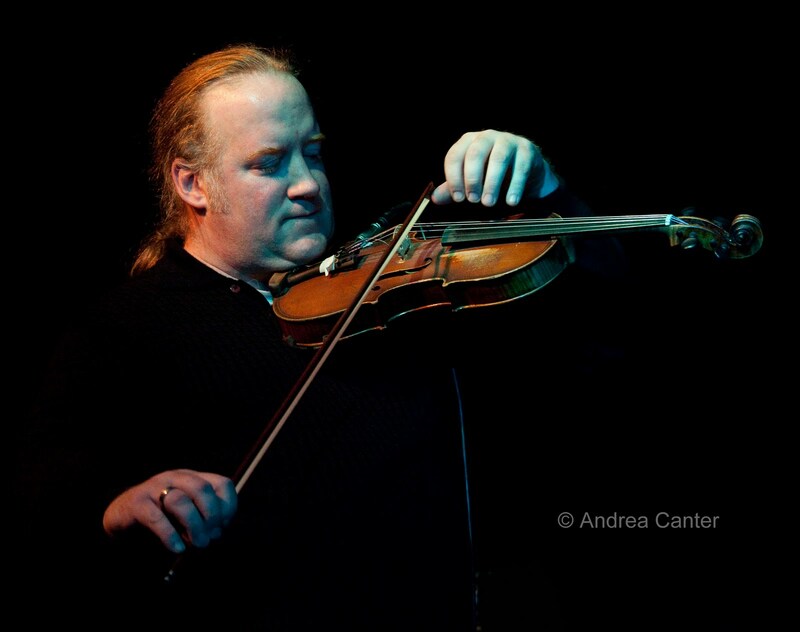 Thursday (11/11): REEL Jazz at the Trylon Theater (“Last of the Blue Devils”); Doug Haining and the TC Seven at Hell’s Kitchen; Dave Karr Quartet at the AQ; Sophia Shorai at Barbette. Last March, Regina Carter brought her latest musical journey to Ted Mann Concert Hall. 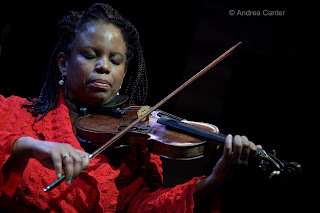 Supported by a MacArthur “Genius” Grant, the ever-curious violinist sought to bring the music of the African Diaspora into the 21st century, blending folk traditions and contemporary global rhythms and communicating through an eclectic array of instruments, including the 21-string Kora and accordion. Much of American music owes at least some of its foundation to African art forms, and the sounds of Carter’s Reverse Thread project conjured as much Appalachia as Mali. But that evening’s presentation was cloaked in the formality of the setting, a moderate-size concert hall that was only (tragically) half full, five musicians on a large stage. 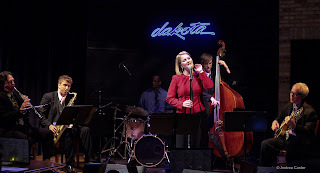 Last night, this time at the Dakota Jazz Club, Carter and company reprised the spring performance in a warm and intimate room that seemed designed with Reverse Thread in mind. The stage and lighting fit the ensemble perfectly, and sitting a mere 8 feet or so from instruments like the kora, violin and accordion provides both eye and ear candy. The kora alone, in the hands of Mali magician Yacouba Sissoko, deserves its own review. 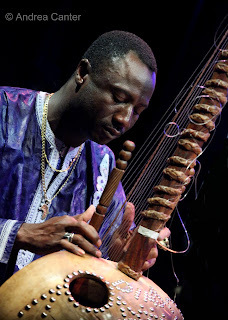 At a pre-concert talk at Ted Mann, Sissoko had described the making of his instrument from a large gourd, ten strings on one side, 11 on the other, yielding a sound much like a dulcimer without the hammerstrike. Tonight I could see each of his hands stroking, sliding, gently tapping strings, literally weaving sound. Augmenting each composition, Sissoko particularly brought a unique layer to “Artistiya,” a peasant dance that was alternately thumpy (thanks to heavy rhythmic antics from Garnett and Lightcap) and joyously bluegrassy; Carter’s violin sparked images of Mark O’Connor and Aaron Copland. “Kothbrio” started as a kora/bass duet, soon a trio with Carter (that’s 29 strings! 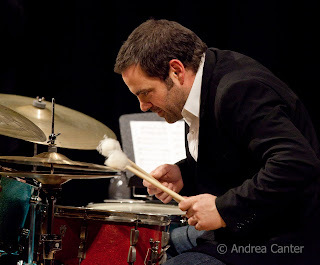 ), Garnett adding percussion to create a repeating theme that quickly embedded itself in the ear canal. Sissoko’s solo – massaging the strings as if an upright thumb piano-- added wistful layers to an already intoxicating harmony, while the multiple strings added frenzy to the bustle of “Fulltime,” written by African bassist Mamado Ba to reflect his first impressions of New York City. If violin and kora were out front much of the evening, the “rhythm section” offered an essential glue. 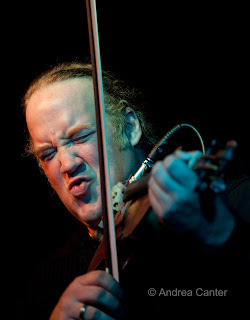 Garnett provided constant propulsion and occasionally took the spotlight, demonstrating the many voices inside a traditional jazz trapset, be it his own verbalizations that served as oddball mouth percussion during his solo on “Fulltime,” or his attacking monologue on the encore juxtaposition of “Juru Nani” and the hymn, “God Be With You,” a mélange of cowbells, rimshots and pounding on the sides of his tom. Lightcap was more the master of subtlety, often weaving in and out with Sissoko, setting the elegant vamp of “Kothbrio,” adding muscle to “Artistiya” and sway to “Un Aguinaldo Pa Regina.” If there was an unsung hero, it was accordionist Will Holshouser, who rarely came forward but whose slow moving currents added soft texture throughout, whose duet with Lightcap on “Un Aguinaldo Pa Regina” added pathos, whose swing tooks us straight to Congo Square on “New for New Orleans,” whose bluegrass flavorings served as the bridge between African and American roots on the encore. 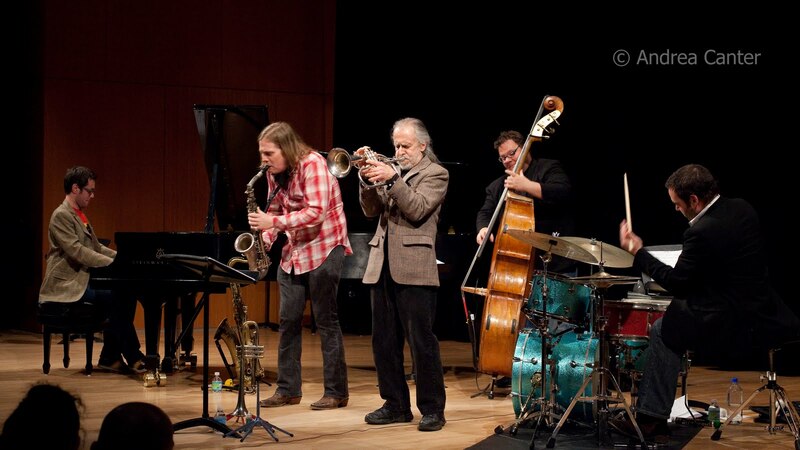 Very few jazz artists have received the coveted MacArthur grant. In live performance or recording, Reverse Thread validates Regina Carter’s “genius” decree, as performer, arranger, improvisor, composer and cultural explorer. Photos: (Top to Bottom), Regina Carter (2); Yacouba Sissoko and the kora; Chris Lightcap (All photos by Andrea Canter at the Dakota, November 2, 2010).